If you have any questions about the MINELLA information page below please contact us. 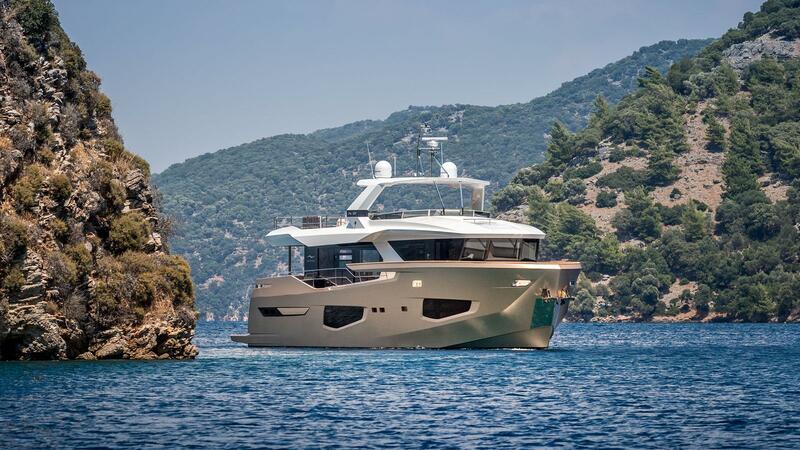 MINELLA is a NUMARINE 26XP motor yacht built by Numarine and launched in 2018 as part of the Explorer series. 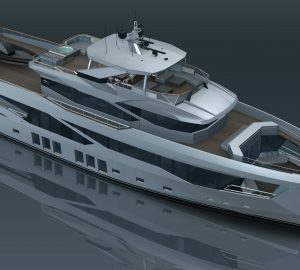 The yacht measures 25.89 m (88'22'') with naval architecture by Umberto Tagliavini and the exteriors by Can Yalman. She can sleep up to eight guests in four staterooms and has a crew of three. 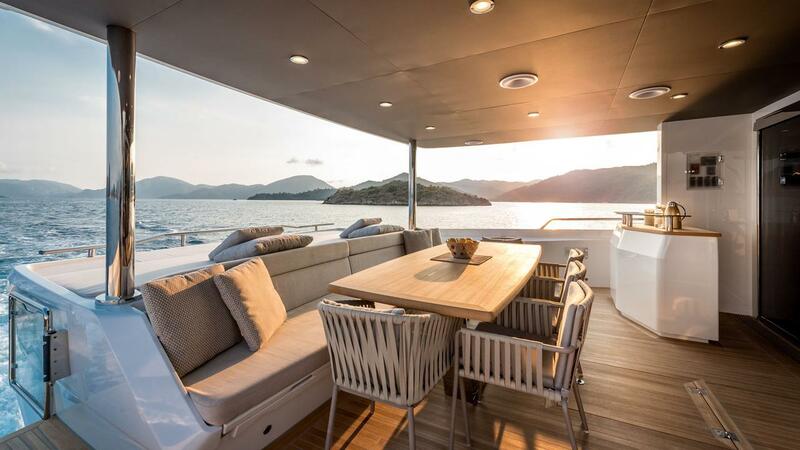 The main deck aft is sheltered by the flybridge overhang and offers a built-in stern sofa as well as an alfresco dining possibility. There is also a large sun pad across the stern. 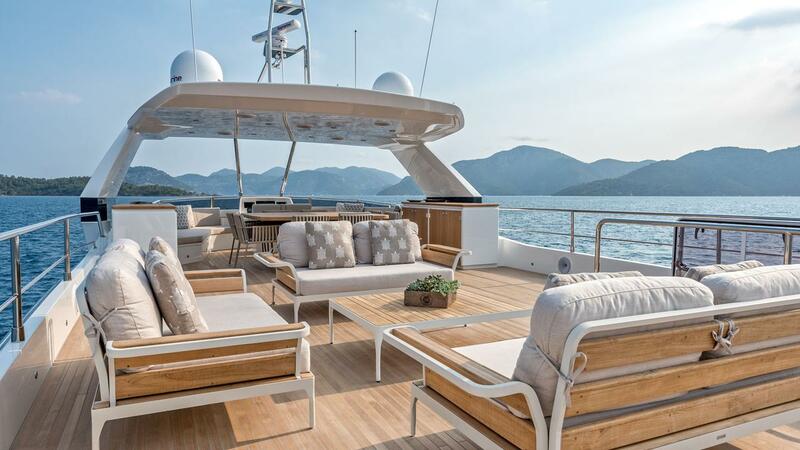 The foredeck has additional outdoor lounging area with a forward facing sofa and two large sunpad/sofas on either side. Aft a large swim platform for guests offers access the sea and the vast variety of water toys and equipment. 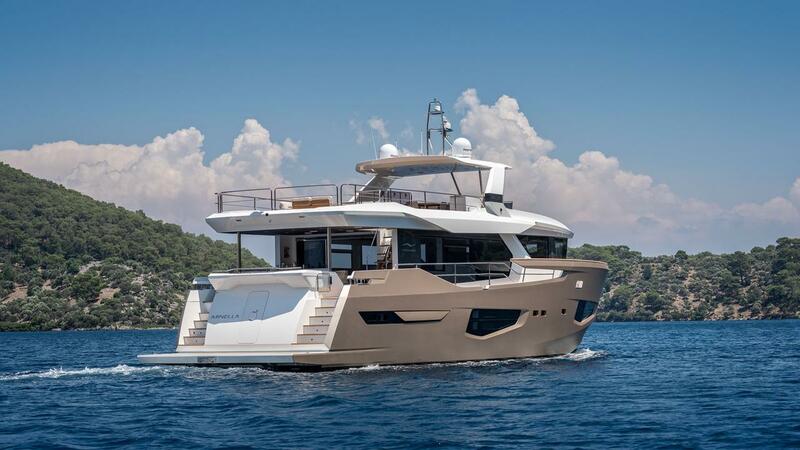 The flybridge has been fitted with an aft lounge with three plush sofas and a coffee table. The space beneath the hardtop contains a bar and a dining table for additional outdoor comfort and socialising. The stern is used to stored a tender. Accommodation includes a full-beam Master suite amidships with an ensuite bathroom, a desk and a corner lounge. Two double cabins and a twin cabin with en-suite facilities complete the four-cabin layout. On the main deck, there is a large sofa next to the helm station. Amidships there is a formal table which seats up to eight guests for a more formal meal. 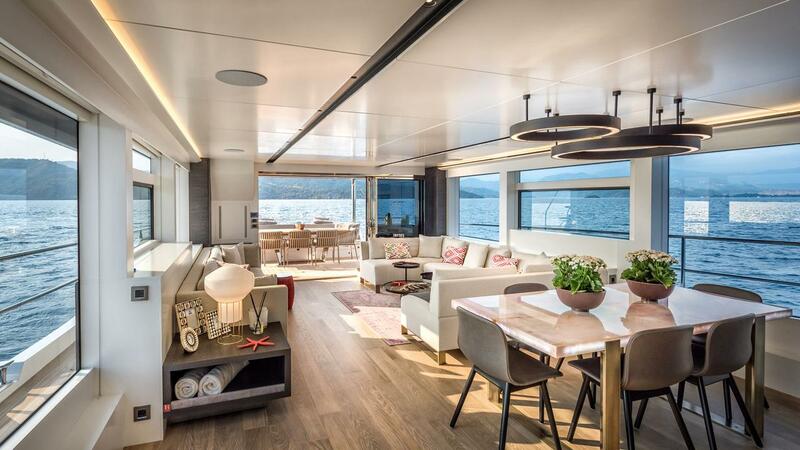 Floor-to-ceiling windows provide great amount of natural light and fabulous panoramic vistas while guests enjoy a meal from the nearby galley or rest in the C-shaped lounge with the coffee table and additional sofa opposite. Crew accommodation is located to stern and sleeps up to three. This area is separated from the guest accommodation from the engines room. Twin MAN R6-560 HP engines provide a top speed of 13.5 knots, a cruising speed of 9 knots and a range of 3,000 nautical miles. The accommodation sleeps up to 8 guests over 4 beautifully appointed en-suite cabins: 1 Master suite, 2 double cabins and 1 twin cabin. We do have available further amenity, owner and price information for the 25.89 m (88'22'') yacht MINELLA, so please enquire for more information. 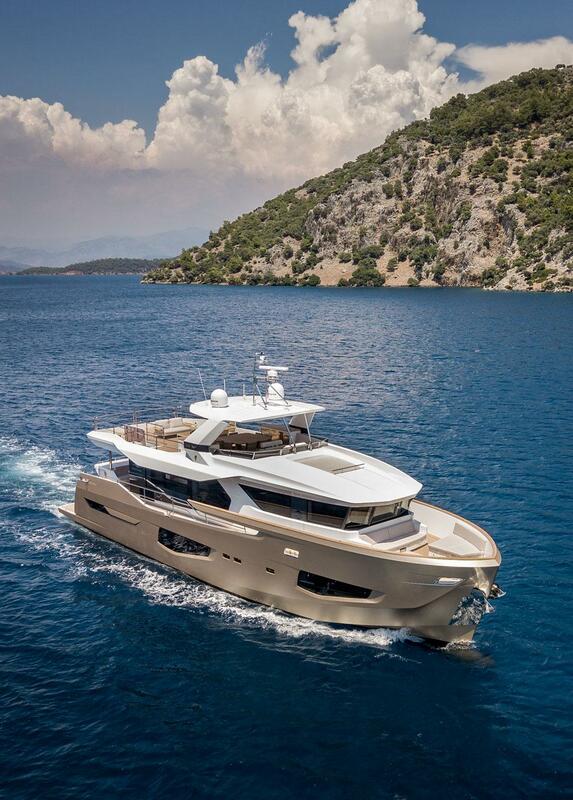 The luxury yacht MINELLA displayed on this page is merely informational and she is not necessarily available for yacht charter or for sale, nor is she represented or marketed in anyway by CharterWorld. This web page and the superyacht information contained herein is not contractual. All yacht specifications and informations are displayed in good faith but CharterWorld does not warrant or assume any legal liability or responsibility for the current accuracy, completeness, validity, or usefulness of any superyacht information and/or images displayed. All boat information is subject to change without prior notice and may not be current.